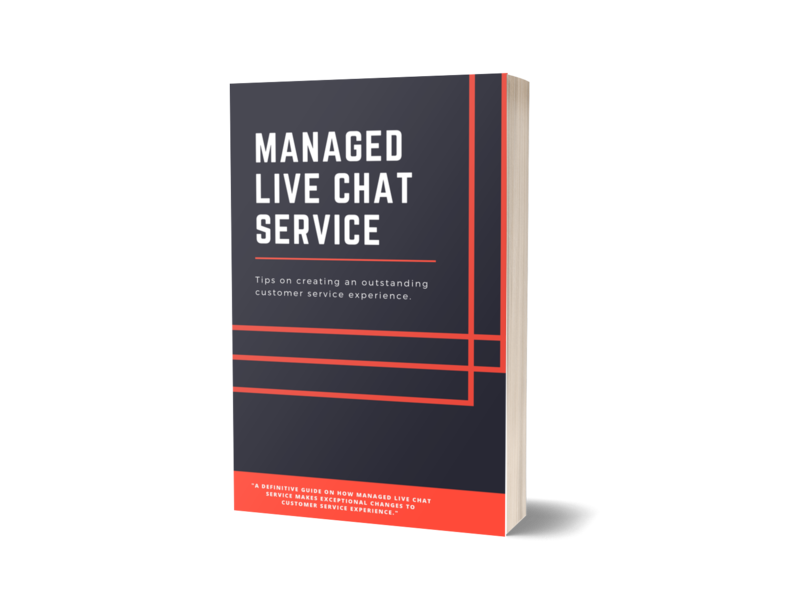 Definitive Guide on Managed Live Chat Services 2018 - SalesChat.co : Live Chat Operators for Business Sales And Support. Managed Live Chat Service adds an enormous advancement to businesses. It helps to increase sales, ROI and success on marketing campaigns. 1. What is Managed Chat Service? Managed Chat Service is an online chat service that is provided to your clients and website visitors. It’s a 24/7 service consists of fully managed and active operators who are engaging to online customers. For every perfect and smooth running system, a series of strategies, well-qualified and professional operators are the key roots. So as in the case of managed live chat, increase in productivity can never be achieved without basic resources. No doubt, professional and well-trained customer service representative is a key to success but dedication towards their work is also essential. In managed live chat, when you are available online on your website, the operators should be categorized for online chat and video calls. If one team perform multi-tasks, they won’t able to pay attention to a single work resulting lose an upcoming sales lead. Some professional messaging experts can only focus the web visitors that prefer to do chat and moving them ahead in the sales process. While calling the expert team can solely pay attention to calls. When advanced technology with proper strategy is used in the managed live chat service, it boosts the company. A live chat service that comes along real-time business intelligence reporting can grab the attention of more leads. By using such strategies, you can analyze the detail of your website visitors such as keywords used in the search, geolocation, most viewed pages and preferred search engines. Such pieces of information are helpful to judge your online visitors and guide them during their online shopping. Moreover, you can better drive a conversation if you know about your customer’s interest. Virtual assistance depicts the advancement in the customer service and in managed live chat service, it provides a way to improve the sales and gain a competitive advantage over the rivals. With a virtual agent, a company can shorten the time of resolving queries as well as improving customer engagement. Virtual assistance is very helpful during the workload when teams are busy with many leads. In fact, it reduces the load of the real customer service representative with minimum interaction cost and increased profitability rate. High-quality service ensures to what extent you care about your web visitors. It can sway the online guests and can give you a chance to turn them into qualified leads. A good practice can ensure the high-quality in managed live chat. Many factors can affect the high quality but time management lies at first. No doubt, a customer service representative is communicating with a number of visitors at a time and 60% of the people hate to wait longer than a minute. By giving them a faster time response and a signal to wait if required, it can avoid you from the caller’s anger. 5 .Why Should a Managed Live Chat is Needed? When people visit a website and analyze its products and services, many questions arise in their minds and 83% of the people require instant customer support if they want to purchase something. If they successfully completed the purchase cycle then, 63% of the visitors feel pleasure to join such websites that offer live chat. This percentage interprets that the use of managed live chat service can market your brand easily, attract the online callers and boost your sales. Its benefits don’t end here, for the successful business, you have to look at the spectacular fruits of the managed live chat service. As reported by Kissmetrics, the managed live chat is one the best online service a company can provide to its visitors and customers when they are really interested in a purchase. Hence, it is an active and convenient way to manage your customer relationship. Online guests don’t need to wait for hours and days for a response to email or a call. The solution of a query is just a message away where professionals are always there for them. They will definitely be impressed by such a gesture and will visit you soon in the future. Many of the customers avoid dialing expensive calls to the customer service and hence can’t resolve their concerns in real-time. Managed live chat service is again here for them. Adding managed chat not only proves helpful to handle stubborn clients but also build a reliable relationship with them. Managed live chat service is an inexpensive way to pave a path for your customers to come back in the future by providing them an excellent customer experience. According to the study from ATG Global Consumer Tren, 90% of the consumers find live chat very helpful. So, without using expensive phone calls and a bunch of emails, a company can raise its benchmarks with much cheaper strategy. Managed live chat service decreases overall contact center cost by lowering the average interaction costs. When customer support representatives handle multiple visitors or use virtual assistants to communicate, it also lowers the expense. Adding many of the useful strategies help in tracking marketing campaigns and also improves the customer service without using much cost. This not only manages the performance of customer service but also observes what your online guests are looking for on the website. Presently, no business can survive without better customer support service regardless of how perfect the products and services they are offering. No matter which type of mode you are using for customer support i.e., emails, calls, messages, if you keep engaging the customers, solving their queries real-time, you are gradually making progress and when you use the managed chat service on your website, it will absolutely icing on the cake. This simplest mode of communication gives a platform to both company and online guests to solve a query real-time, to find about some products or services, to guide a visitor and much more. In a traditional customer support, one team or an individual communicate with clients through emails or phone calls. It is difficult to manage a bulk of emails and give the responses on time. On phone calls, the team couldn’t able to focus on each client and mostly unable to provide the solution real-time. In managed live chat service, a number of teams of professionals are available to communicate with the online guests and qualified prospects. Each team serves to the single field such as online chat and video calls. They have the special tactics to engage with the leads and provide them with the real-time solution. Although customer service provides its best to the customers, some of the clients feel hesitation to share their personal information or their problems such as medical. Managed live chat service facilitates the visitors and prospects to share their concerns comfortably as all the chats are encrypted to protect users privacy and ensures 100% compliance with the law. In the traditional customer support like phone call and emails, only one team is handling all the clients. Sometimes, it difficult to understand what a customer wants to say and to identify the pain points. The pain point is a business term which refers to the problem of a customer that has not been solved or a need that has not been addressed. But thanks again to the managed live chat service, where different teams are available and their administrative have all the records of chat history that can easily be filtered, sorted and searched the pain points of the clients. When customer service uses emails and phone calls, it is difficult for them to sort out the important ones. With email support, a company can communicate with clients, give suggestions, offer deals and packages but despite all these efforts, you have fewer criteria for accountability and performance of the staff. As in the case of phone calls, a company couldn’t spend a long time to listen to all the recordings and analyze how the staff is proceeding. With managed live chat service, you can keep the record of all the chat histories of each representative and can also view the custom reports. It assists the company to find out the weak points of the team and train them according to the need. By keeping this record, a company can also analyze the queries of their visitors, their interests, requests that are accepted or ignored and visitor metrics. Such reports also facilitate the company to implement better marketing strategies to draw more traffic. Many companies have now established the facility of Managed Live Chat Service on their website in which a small dialogue box appears at the corner of the site where a qualified operator is available online. A prospect can resolve their queries through live chat or video call. Live Support Applications provides an easy way for the clients to get instant answers to their questions, to solve a problem real-time, to give suggestions and also get information about any product or services that the brand is offering. It’s good when you manage the communication with your clients. According to research, customer service gets 35% of confused chats by their clients at night. On the other hand, the most hectic hours are 10 a.m. – 9 p.m. in a day. It affects the volume of live chats and support tickets. By practicing proper management, it depicts the chatting habits of customers and you can make and you can make shift adjustments to adopt a good habit of organizational skill. Knowledge management system comprises the processes that help to gather information about customers, analyze it and store it. Thus, it enhances the sales rate, retention as well as customer engagement. When shifts are applied in the managed chats, sometimes it’s difficult for the new agent to analyze the behavior or demand of the client. This might cause the fall of a business if it doesn’t have a customer-focused knowledge system. For the smooth flow in shifts, knowledge management MUST be included in a managed live chat service. The better approach to the voice of the customer(VOC) information. Automated intensification to a live representative. Quality management is the process that ensures the output is exactly matched to the desired output in terms of live chat. A brand can analyze the quality of its chat service through proper monitoring. No doubt, it involves the recording of live chats and calls so that a company can thoroughly read or listen all over again, inspect their quality and pinpoint the area where improvement is required. But in managed live chat service, quality management requires a series of steps to ensure qualitative and quantitative growth. Technology has given a way to the business to grow fast but the implementation of the right technology at the right time can prove beneficial. Same in the case of choosing a software when you want to achieve the best quality in your live chat. A brand should keep several factors in mind before selecting the software. A number of key factors are involved in the establishment of a single strategy but to ensure quality, if we analyze all the matrics, it will be time-consuming and maybe analyzing some keys are irrelevant at that time. Pick the right indicators and points that are relevant to the quality assurance and also correlate with each other. 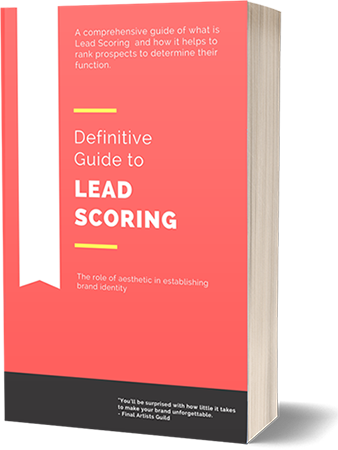 Make a scorecard and assume it as a structure of analysis. With the advent of managed live chat, a company gets approximately 1000-2000 calls per month. It’s difficult to listen to these calls or read the messages again and examine these. With customers, who called many times. Each call or chat has a unique case and gives a new experience. It also refers to how the agents should be trained to face different situations. Although each team has the manager to look after each issue, there should be a quality assurance analyst who is responsible to design training material, monitor calls, and chats, and uphold the standard set for the business. Hiring the right employees that can prove themselves as a high-quality agent can prevent the company from training the new employees. Using the vetting process including personality test, the self-assessment test, and aptitude test can give a useful asset to the quality management. The quality management is responsible to train the employees according to each situation by arranging regular coaching sessions. Without a proper guideline, agents won’t be able to engage with the clients resulting from the decrease in customer engagement. In a live chat, an agent is always available to resolve the queries of the clients and take their feedback. But what if the agent is still not giving the 100% of its effort? For this purpose, a proper strategy is required to monitor the efficiency of the representatives. By implementing some useful and easy metrics in the chat service, a company can analyze how fruitful is the struggle of each individual. The number of chats handles: If an agent is handling more customers in a month, it might be assumed that he is performing well. Therefore, a standard value of the concurrent chats should be applied to monitor the quality. Currently, the standard value is 274 chats per representative per month. However, a brand can set its separate standard according to its growth and regular leads. Response Time: According to research, a client can’t wait more than a minute while communicating with the agent. Although quick response with a minimum time can boost the business, it depends upon the channel which is used for the communication. However, in a live chat, reportedly, it takes 48 seconds to give a response when a prospect initiate a chat. Are your representatives take more time than this? Surely, you can analyze their efficiency by taking the response time as a criterion. Conversion Rate: According to the Forrester Research, 44% online clients prefer the websites that give the live chat. It means, managed live chat service is the key to enhance the conversion rate. But the sales can only increase when the accepted chat rate is more through the live chat tools. The lesser number of conversion rate depicts the weak representative or a sales team. When we compare managed chat service with the traditional customer support, it clarifies that it can convert more visitors into leads, leads into qualified leads, and hence qualified leads into customers. Managed chat improves the marketing Return On Investment (ROI) by ensuring that the company is engaged with its website visitors all the time and helps the business to grow itself by using these valuable leads. The companies that use managed live chat examine the increase in their revenue. According to the FurstPerson study, 77% of the customers won’t make a purchase if there is no live chat available on the company’s website. E-marketer discovered that 63% of the visitors feel pleased to return to the website that offers live chat. It means managed live chat also attracts the visitors for the second time. Managed live chat service not only accelerates the revenue but also increases the percentage of customers satisfaction. According to the Econsultancy, 73% of the customers are satisfied with their live chat experience. With all these benefits and statistical analysis of managed live chat service, we can easily pen off to the point that managed chat service has become a necessary communicating tool for the growth of the business that can expand revenue and sales, provide reliable and faster customer support and can also distribute to the betterment of the customer experience than other modes of communication.